A grand jury has handed up an indictment against a Brick man, accusing him of shooting another man during an October burglary. Donovan Wesley, 25, is charged with one count each of second degree armed burglary, first degree attempted murder, second degree possession of a weapon for an unlawful purpose and first degree unlawful possession of a weapon. According to the Monmouth County Prosecutor’s Office, the charges stem from a Sunday, Oct. 8, 2017, shooting inside a residence on West Columbus Place in Long Branch. The Long Branch Police Department responded to a 911 call at about 1:50 a.m. reporting shots fired at that location. Police arrived to find the victim, a 31-year-old male, suffering from multiple gunshot wounds. He was transported to Jersey Shore University Medical Center, Neptune Township, by Long Branch EMS and MONOC paramedics, where he was treated for his injuries and released a few days later. 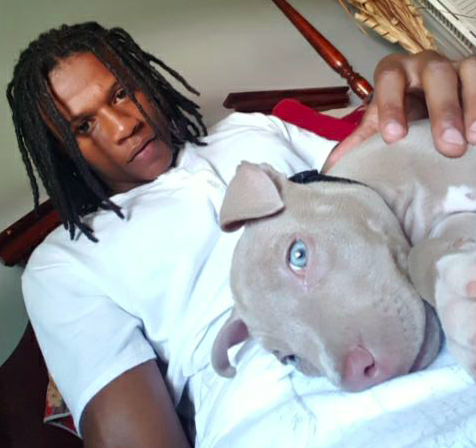 A joint investigation by the prosecutor’s office and local police revealed Wesley shot the victim after the two men got into a verbal disagreement earlier in the evening, said Charles Webster, spokesman for the prosecutor’s office. Wesley then is alleged to have arrived at the victim’s home and confronted him before shooting him during a brief struggle. If convicted of armed burglary, Wesley faces a sentence of five to ten years in prison. If convicted of attempted murder, Wesley faces up to 20 years in a New Jersey state prison. He would be required to serve at least 85 percent of his sentence and remain under parole supervision for five years following his release from state prison. If convicted of attempted murder, he would be under parole supervision for three years following his release if convicted of armed burglary.